As birds are a huge part of nature, they are great for decorating in any season of the year. You can get this Autumn Chickadees Welcome doormat for your front porch or anywhere in your home. The stunning colors are a great addition to your fall decor. The unique image is crafted with a dye sublimation process that provides stain and fade resistance for your mat. Pair your mat with our unique and innovative indoor tray for a cushion comfort surface, great for easing stress on joints. 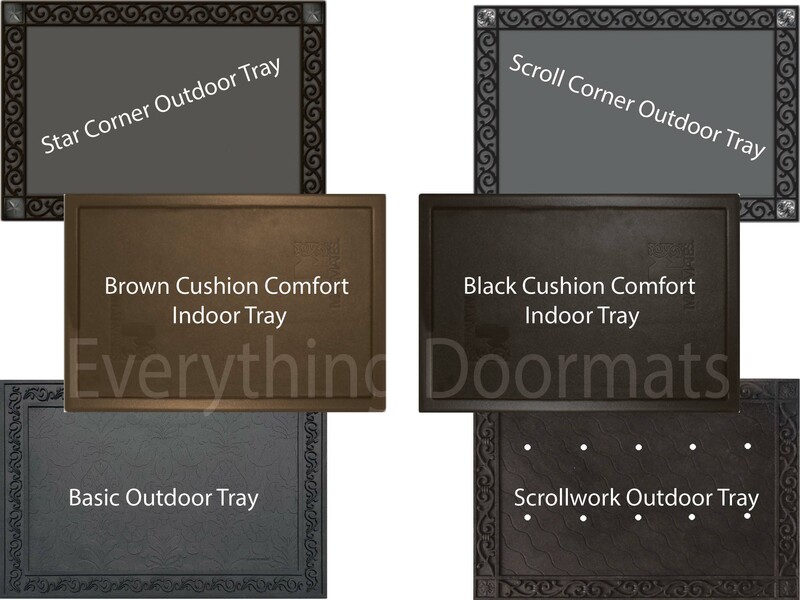 You can also pair your mat with our outdoor tray for a stylish addition to your front porch. Display in the kitchen, living room, by the fireplace, or at the door. This Fall doormat is 18" x 30" when used as a stand-alone mat. Note: The Autumn Chickadees Floor Mat is pictured in our Scroll Corner Outdoor Tray. The outdoor trays and cushion comfort trays are sold separately.